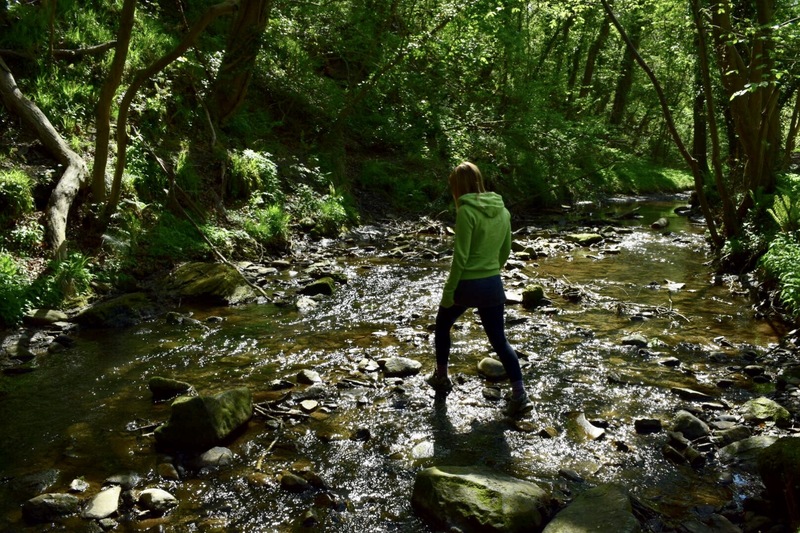 Nat has been a big fan of Merrell’s range of women’s outdoor footwear for a long time. After all, they’re not a world renowned brand for nothing! So, when they got in touch to say they had a brand new women’s trail shoe launching that they wanted her to test she jumped at the chance. Marketed as an adventurous gender-specific shoe for wilderness loving women, the Merrell Siren Sport Q2 certainly looks the part. However, would they stand up to our Potty Adventures? Straight out of the box we couldn’t believe the weight of the Merrell Siren Sport Q2. At just 624g they are seriously light! If they were a boxer they’d be a featherweight. Consequently, we immediately placed this shoe somewhere between a trail runner and a typical hiking shoe. As I do a spot of trail running myself, I love the lightweight, feel-the-trail nature of my runners. The flex that they allow promotes a much better range of foot movement. This is important when you’re racing ahead and trying to maintain your balance over varying terrain. However, as far as long, arduous hikes go, my runners don’t offer me the support (over many hours) that hiking shoes or boots do. 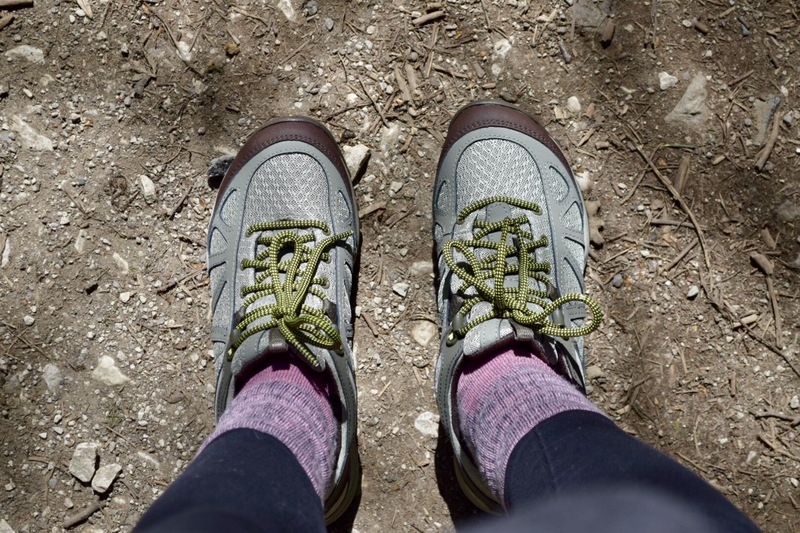 The problem is that typical hiking shoes are often clumpy and heavy. They tend to lack the flex that enables your feet to move naturally and, consequently, they often lack the comfort of runners. 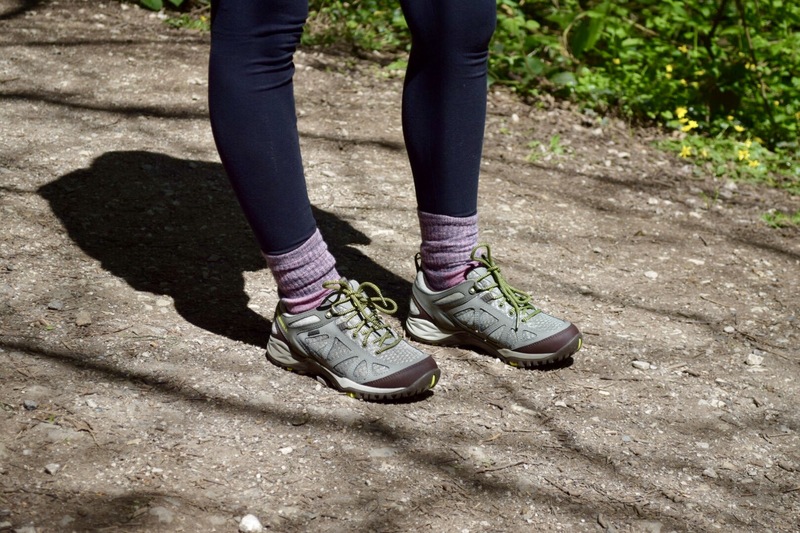 For short, fast-paced hikes, women have been between a rock and hard place in terms of footwear choice. 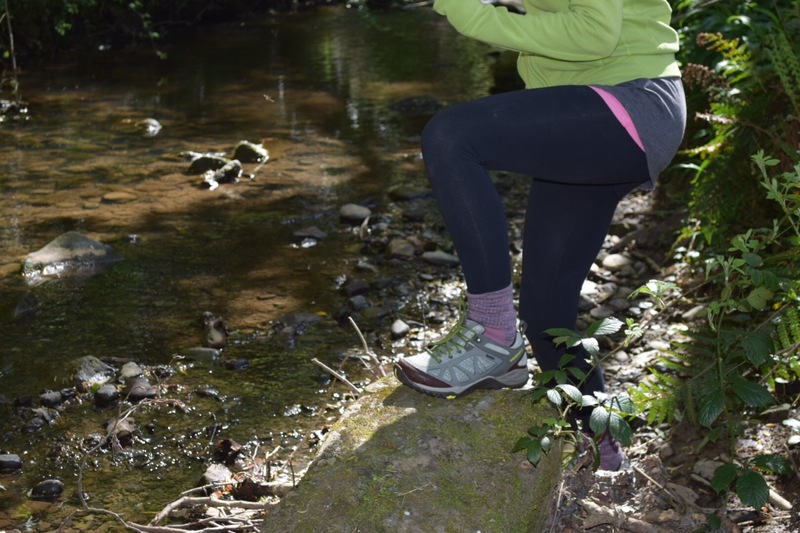 As such, our first impressions of the Merrell Siren Sport Q2 were excellent. Would they match this by performing out on the trail? Out on the trail Nat was super impressed. The combination of its trainer-like weight and the Q FORM® 2 dual-density midsole made this a very comfortable shoe. Too often women have been served up shoes designed predominantly for men, with just a splash of colour to distinguish between the male and female variants. Here the gender-engineered alignment really shows. Nat said that they ‘feel like women’s shoes’. Now, I don’t know what that feels like personally (honest! ), but it certainly made a big difference to her. The excellent midsole on the Merrell Siren Sport Q2 is ably supported by the contoured footbed inside the shoe. The M Select™ FIT.TRI blended EVA is designed to support all three arches of the foot. This is some going. A heck of a lot of shoes just focus on the one. 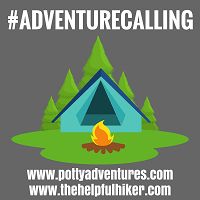 However, for trail shoes, where your foot will constantly be placed under the pressure of hitting uneven ground, with numerous rocks and stones thrown into the mix, this is brilliant. Basically, the three arches of your foot work together like a spring. This spring-like action helps to bear your weight and absorb the shocks that we experience when in motion. 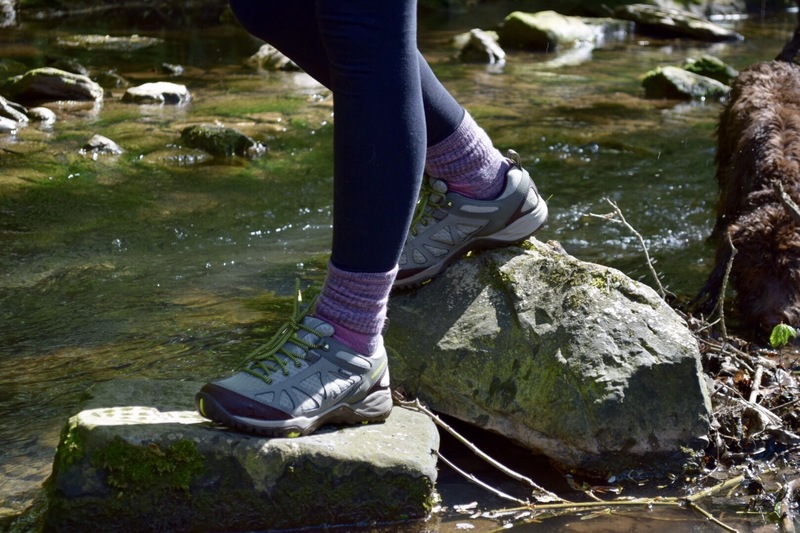 Now, when you consider that during an average hike your foot is likely to be put under far more stress than it would during a simple walk along a pavement, then this three-way support could make the difference between feet that need soaking in a footbath for hours on end just to gain their feeling back, and ones that simply want to eat up more trail. Now, let’s face it, all of this lightweight support and comfort would be pretty meaningless if the shoes themselves disintegrated at the first sight of rocky terrain. Thankfully, the Merrell Siren Sport Q2 hikers are made of sterner stuff. Firstly, the new M Select Grip outsole offers great traction and performance. As I’m sure you can imagine, being smack bang in the middle of April, we’ve had all sorts of weather thrown at us during testing. Each time the outsole has performed well. It’s grippy on everything from dry scree to wet grass. Furthermore, the 3.5mm lugs also provide enough depth to shed mud. 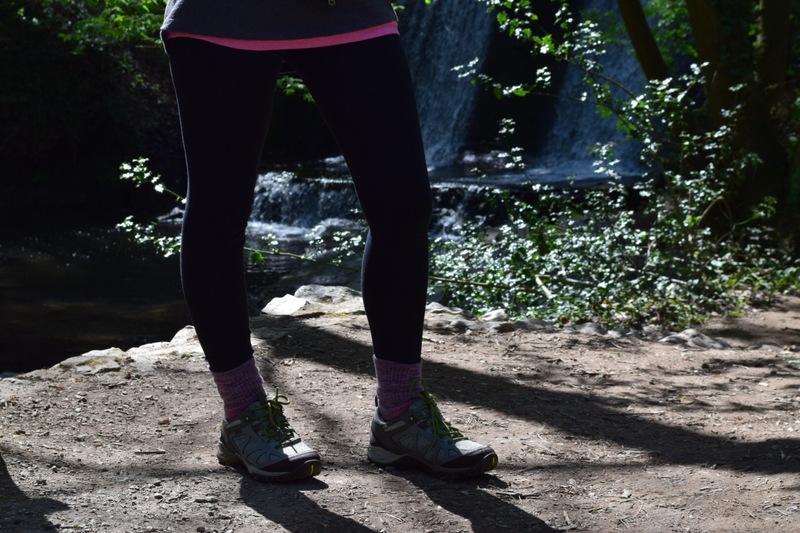 The uppers of the Merrell Siren Sport Q2s are equally robust and reassuring. Being so light, my one concern was would they be strong enough when it came to everyday trail bangs and collisions? It’s fair to say they are. The expected mesh, which keeps the weight down, is reinforced in all high-wear areas such as the toe, heel and ankle areas, by nubuck leather. This strength is also emphasised by the metal lace hooks and eyelets. These shoes will last for many an adventure! This combination of mesh and nubuck also helps your feet to stay cool during the sticky summer months. The superb Gore-Tex membrane, while guaranteeing a dry foot in wet conditions, does have a tendency to be a little on the sweaty side in hot weather. In my opinion it’s a small price to pay for protecting your feet so well when the weather turns. However, by utilising well-placed mesh, your feet should be as cool as they possibly can be in Gore-Tex shoes. All in all, Merrell have come up with an absolute winner of a trail shoe for adventurous women. We love that they have found a niche between a lightweight trail runner and a strong, traditional hiking shoe. For our fast-paced hikes on lowland terrain that doesn’t merit a boot, these will be getting used on a very regular basis. I’m a big fan of Merrell for hiking boots. Great review, very complete…it’s useful to see the pics of you using the shoes out in the elements. We love that they have found a niche between a lightweight trail runner and a strong, traditional hiking shoe. For our fast-paced hikes on lowland terrain that doesn’t merit a boot, these will be getting used on a very regular basis.